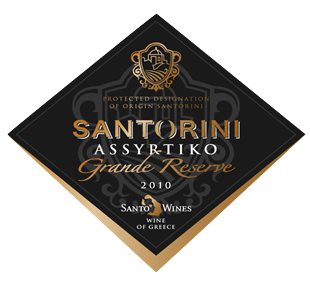 Assyrtiko Grande Reserve is made from 100% Assyrtiko grapes coming from Akrotiri vineyards, where the oldest vines survive on the island for more than 100 years. Skin contact method is applied for 6- 8 hours, in low temperature. After careful pressing and the beginning of the fermentation, the must is put in oak barrels in order to complete the fermentation. The wine matures for 12 months in the barrels and the rests for 12 more months in the bottle to complete the aging. It has a distinct golden colour and the aromas of dried nuts, honey, tea and vanilla. It has a remarkable acidity in the mouth and the taste of salt, lemon, citrus fruits and smoked wood. Perfectly balanced, well structured with intense after taste.